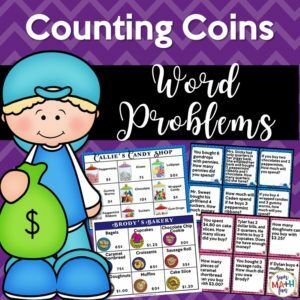 Practicing and learning addition facts doesn’t have to be boring and repetitive. These addition bump games with matching addition worksheets will keep your kids engaged and challenged plus build addition fact fluency! 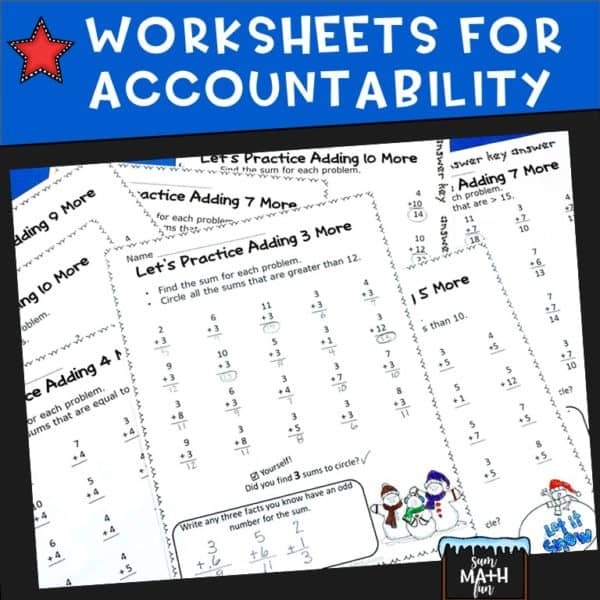 Each worksheet has a self-checking component as well as a task at the bottom to keep those early finishers working and challenged! 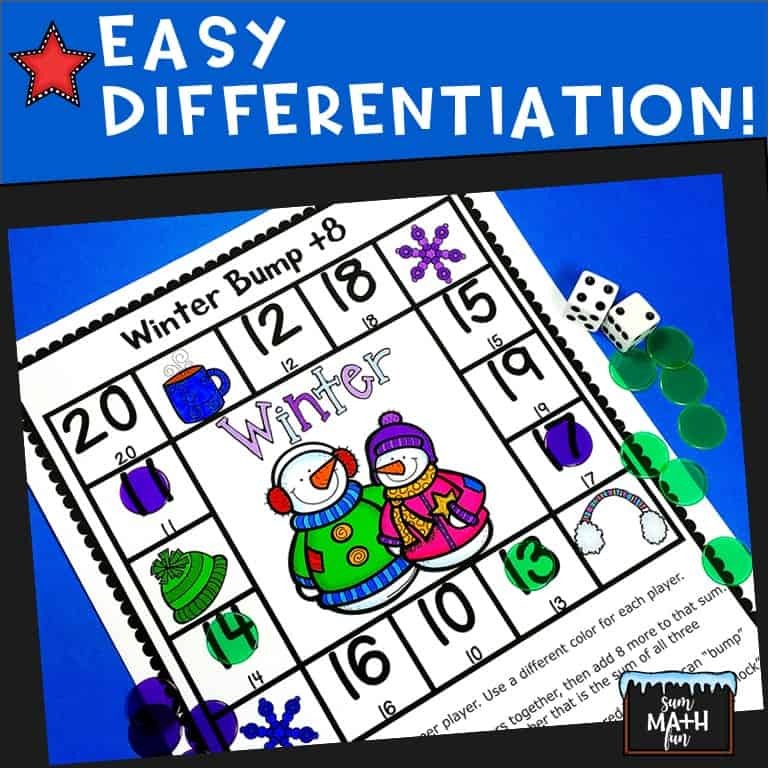 For a quick video of the subtraction version of these games and worksheets, click below. Low prep! Just grab some dice and counters! 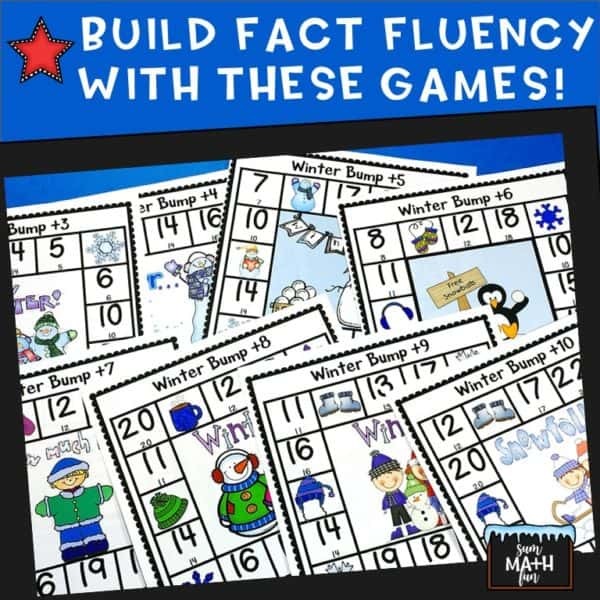 Eight Addition Bump Games plus 8 worksheets that reinforce the skills for each game! ❄️In Math Centers during math workshop – While you work with a small group, another group of students can be playing bump games. 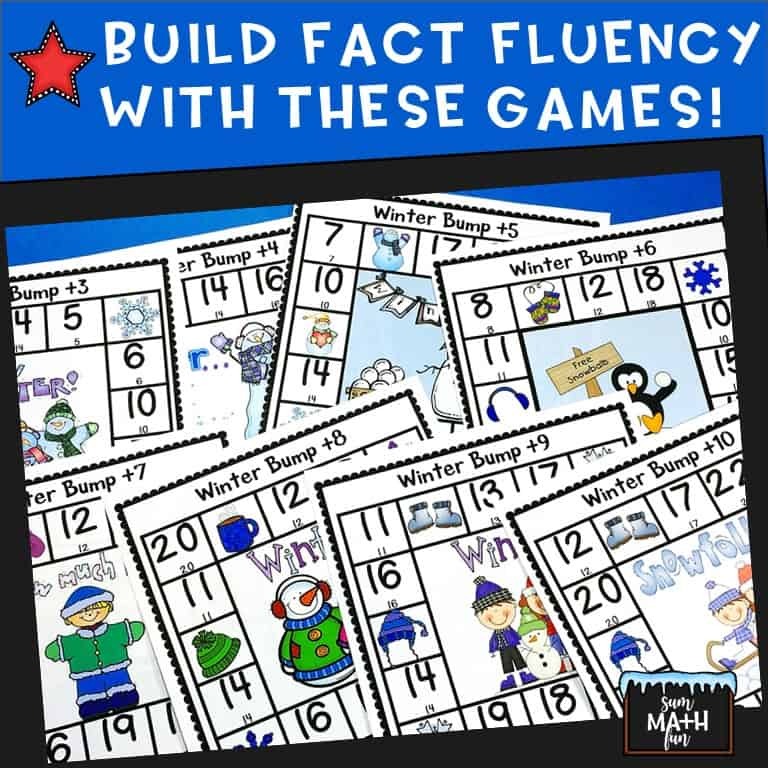 ❄️For Early Finishers – Have games, dice, and counters easily available for students to grab when they have finished their independent practice. ❄️With a Smart Board or Document Camera – Display a bump game and play as a class. This works well as a way to introduce “how to play” bump games. ❄️As a Buddy Activity – If you have an older grade for your “Buddy Class”, bump games are a great activity for your students to teach and then play with them. ❄️ As Homework – Send home a game along with counters and dice. This is a great way to get parents involved and give them a chance to do something other than flash cards or worksheets. ▶️ For more about how we use bump games with worksheets, click here. ❤️ Just print the games, laminate or use sheet protectors, and use year after year! 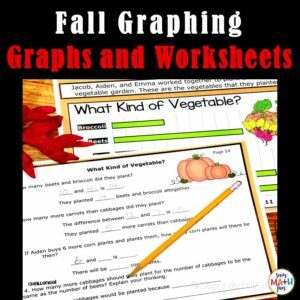 * 8 worksheets that have a component for students to check their own work! They also have a space for students to write 2 or 3 of their own problems within a given parameter such as problems with an odd sum. Please open the preview for a detailed look inside!